Hi everyone, don't we all love a bargain. I spied this little beauty on the counter of a shop in Cornwall literally 30 miles from St Ives - I wont say how much I paid for it but you could buy a few penny chews for the same price! Nice bit of Leach St Ives standardware. St Ives stamp and England. This type of dish produced by the Leach pottery is straight standard ware, with some slightly better decoration. No way is it by Janet herself. The small dishes she actually did were nearly always square, and the decoration was a lot more powerful than on this one. 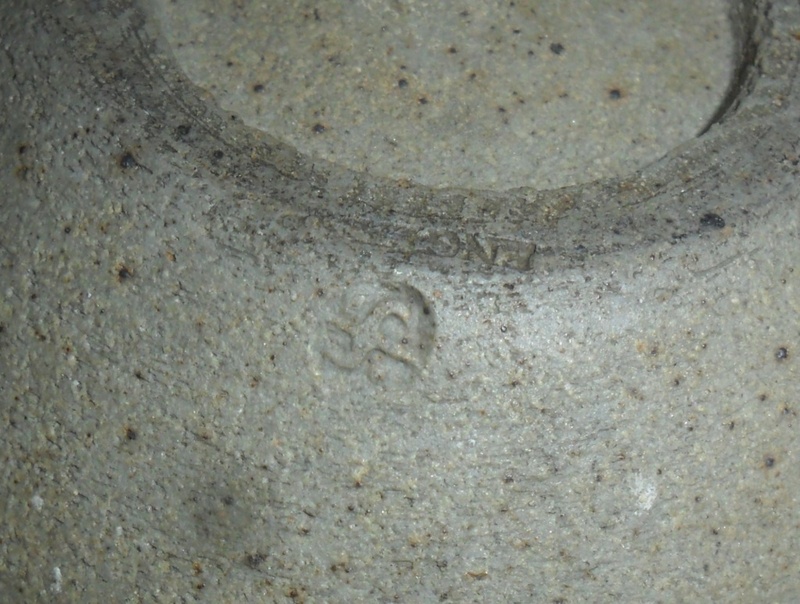 The complete giveaway of course is -as Naomi says- the Impressed ENGLAND mark, which was used on Standard ware alone, and never on individual pieces by the Leach big name potters. 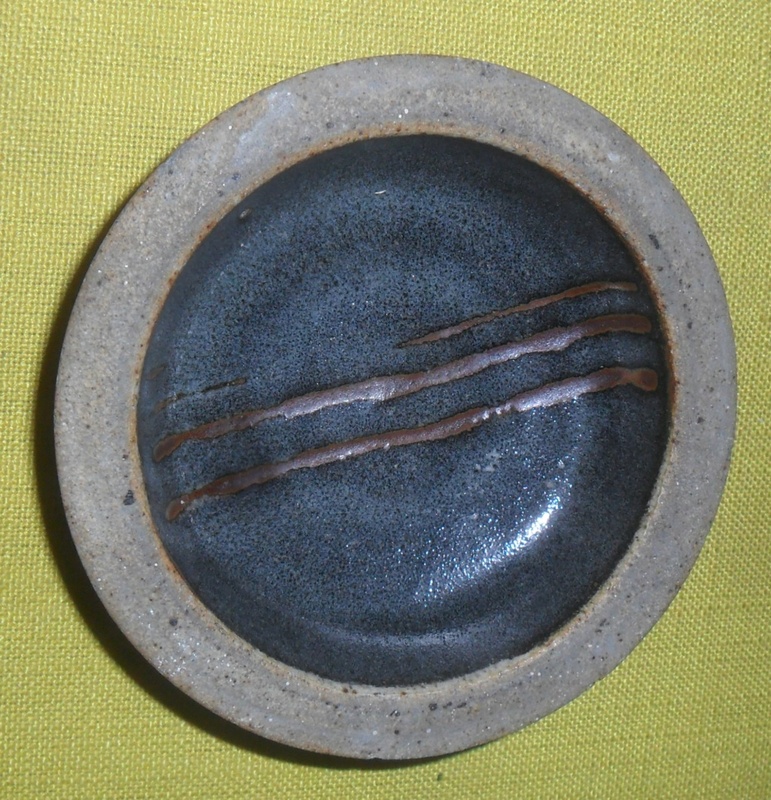 This type of small standard ware dish is fairly common, and not collected as much as it used to be. I just hope you did not pay a substantial sum for it! That's a shame, still as I only paid £1 for it I cant complain really!